To back-track a little…just three months ago the lease my husband, Wes, and I had on a very large house that we shared with close friends since relocating was about up. 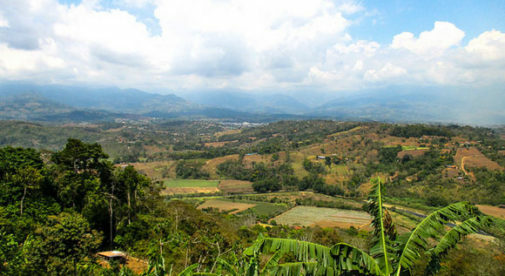 Our friends wanted to move to another part of the country, but Wes and I wanted to stay in Southern Costa Rica in the Perez Zeledon area, where the second largest city in Costa Rica, San Isidro del General, is located. Our biggest decisions were whether we should buy or rent, and secondly, where? Except for the corridor to the south, the city of San Isidro El General is surrounded by mountains, which means you can choose a preferred microclimate. Without living in an area for a period of time, how would we know if there would be too much rain, or wind, too hot, or too cold? We decided to rent instead of buy so we could find the right microclimate for our liking. We are retired, living on a fixed income, so we needed to find a low-cost rental to live comfortably within our budget. After research, we found that rentals in the Perez Zeledon area are more affordable than those near the beaches and coast. The surrounding mountains offer a cooler climate, close proximity to the amenities of the city, and are typically only an hour or so from the beach. We looked at several rentals that ranged from $500 to $1,000 per month. We chose the perfect three-bedroom, two-bathroom, fully furnished house with a carport. It’s located 20 minutes from the city of San Isidro del General and 25 minutes from Playa Dominical. Our rent is $650 per month which includes internet, water, and trash disposal. Due to the climate, we do not need air conditioning or heat. The house is located within the confines of 25 acres: 15 acres of which is in the cloud forest and 10 acres that have been developed with private trails leading to fantastic vistas of the surrounding mountains. The climate is equivalent to that of an eternal spring. We are tucked away in our own mountain paradise without any close neighbors, but still close to everything. There is a myriad of outstanding options available to us when shopping for fresh food and produce. Two farmers’ markets, known locally as the feria, are close to us. The San Isidro farmers market is the biggest of its kind in the Southern Zone with over 200 vendors. An organic feria is located in Tinamaste, a little town that is just eight minutes southwest of us. Our weekly feria visit allows time for social networking with other expats. We compare triumphs and dramas of daily living in Costa Rica. If we feel the need for some “vitamin sea,” we can jump in our car and are at the beach within 25 minutes. I feel relaxed after an afternoon in the warm, tropical climate of Playa Dominical with no agenda other than to walk the beach with my husband and enjoy each other’s company. I can honestly say that we have the best of everything: The beautiful mountain life, yet just minutes from the city or the beach. In our golden years, Wes and I are truly living the Costa Rican “pura vida” life.